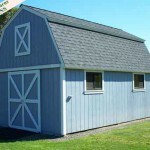 This barn was featured in Better Homes & Gardens magazine. 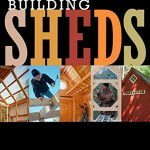 Framed for all cedar siding and trim with an optional wood storage overhang on the side. 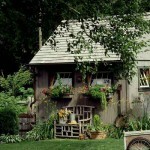 This potting shed was featured in Popular Mechanics magazine and the book Building a Shed. Cedar siding and trim framed for a single door and 2’ x 6’ window. 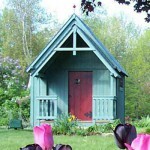 This classically proportioned Colonial Saltbox was featured in Popular Mechanics magazine and the book Building a Shed. With wood clapboard siding and a cedar shingle roof, a Dutch door. 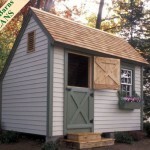 This modular pole barn was featured in the book Building a Shed. Designed with a set of double doors on one end, and four 3’ x 2’ sash windows.